Doing more will less might be the latest buzzword, but the reality is with a system that shares and keeps all data in one place is ideally to enable your entire team to get an effective view of exactly what is happening, with who and when. 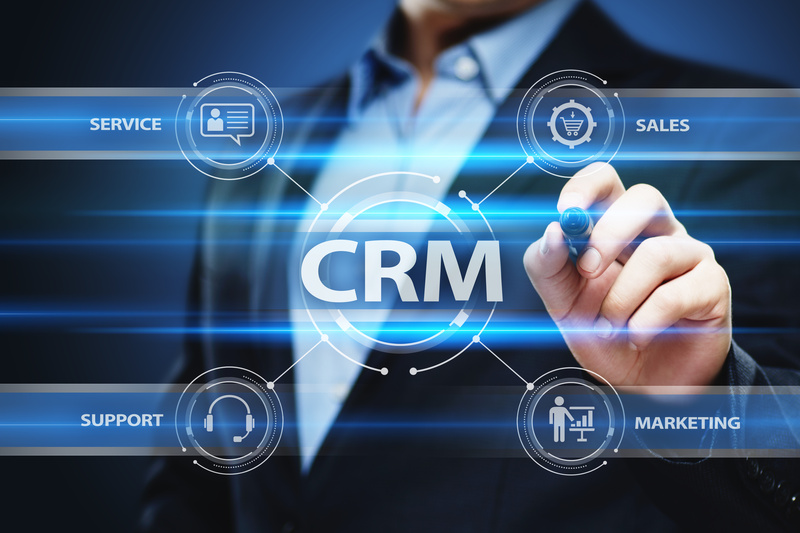 Whilst customers are of paramount importance, CRM that truly works well is not just all about your customers, it’s also about your business too! What sits at the heart of your business is profit and loss and the analysis of what you are doing to understand if you doing all the right things and tracking the right opportunities to ensure you get the most profitable outcomes. A great solution to these common business problems has to be MyCRM Essentials, which has been preconfigured and designed to help you do more from the start without big implementation costs, or analysis of business processes. What we have done is taken than amalgamations of current processes and define what works best for smaller business. We know what your business means to you, we know that you don’t have time or money to waste of big projects and teams of consultants. 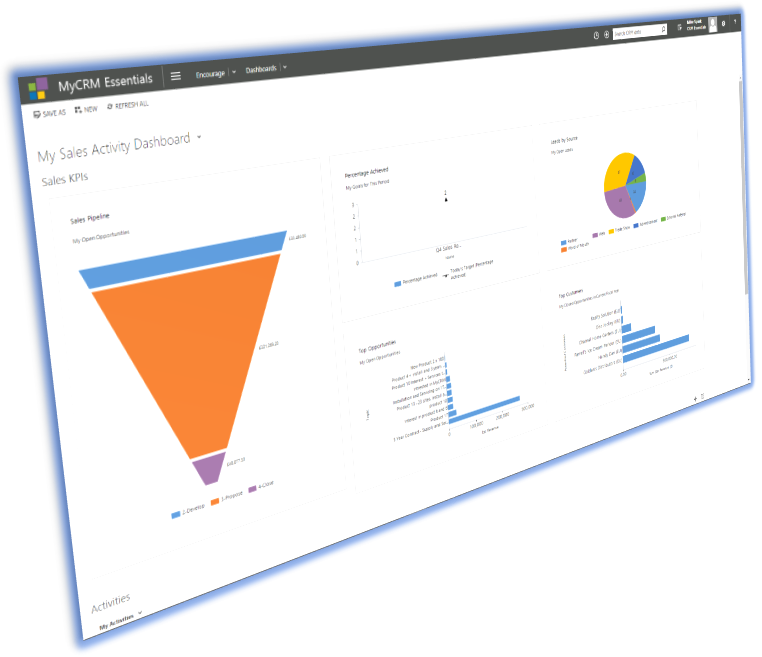 We also know that the MyCRM Essentials is not going to be a 100% fit from day one. The great news is our approach is different and as part of your subscription and using our years of experience, we can quickly make the changes you need without any further costs being applied. Should you need significant changes or complex processes built, we can work with you in the most cost effective manner to deliver what required, working in a partnership for the long term. Implementing a great business system that has longevity is a journey, and one that we will be with you on, making sure the service we provide lets you achieve great outcomes. Our interest does not rely on just selling subscription or software, as we look to help you organisation grow and achieve great things. 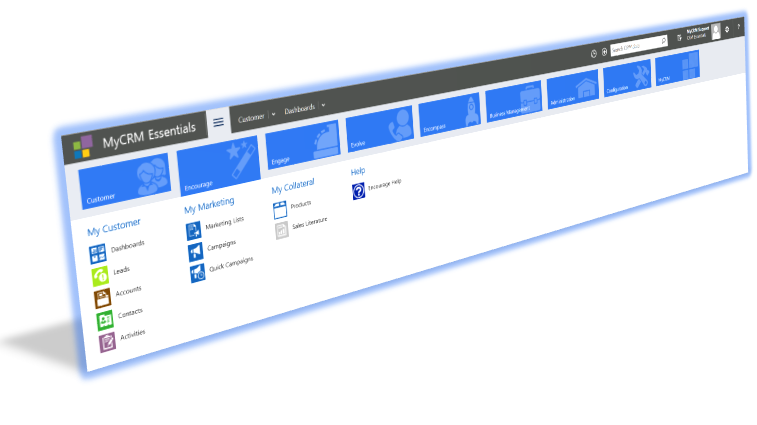 A CRM based on MyCRM Essentials, is a great starting point for your future of customer engagements through Marketing, Sales and Support. Make you first step towards MyCRM a small one and arrange a call to discuss your needs. We will happily come and see you to discuss your needs, and one thing is for certain and that is you are not going to speak to a sales person at MyCRM that needs to hit a target, you’ll be in discussion with a highly qualified business development manager. 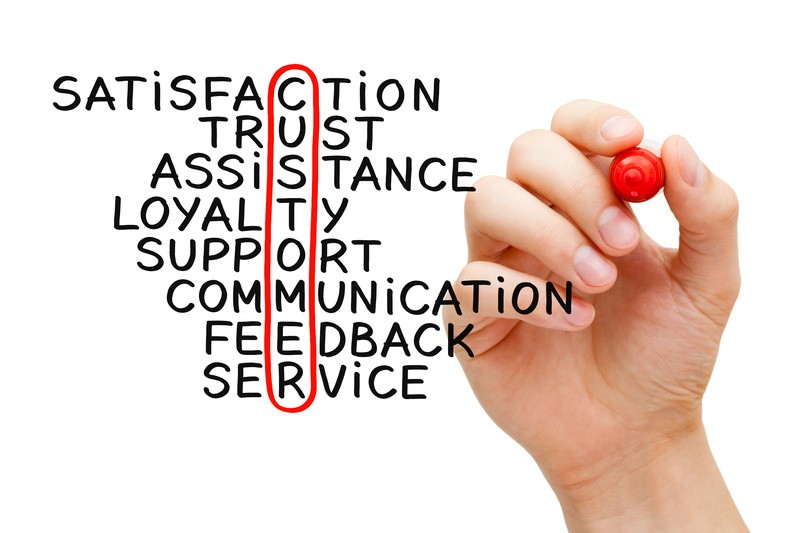 We take our own customer engagement approach very seriously and want you to receive the best advice and take the right steps. 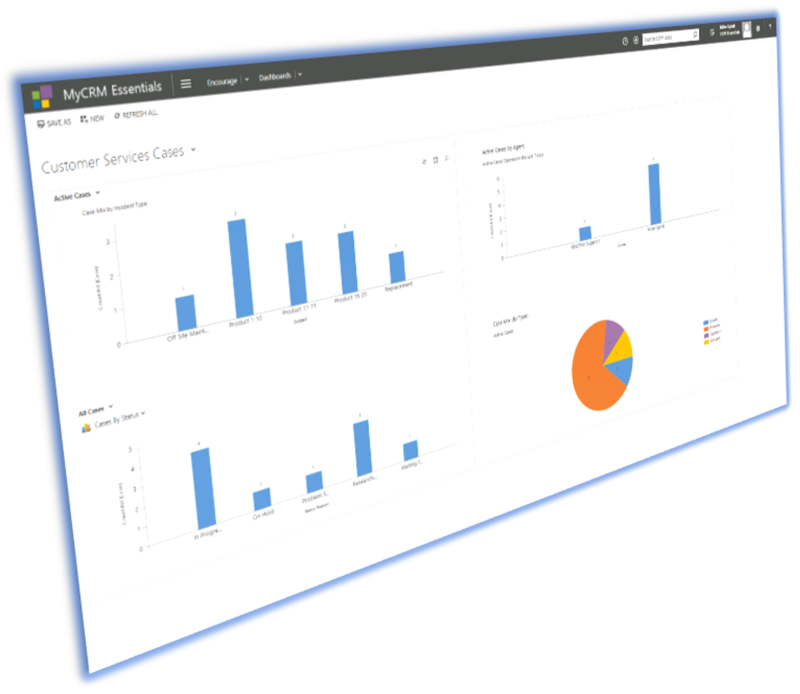 MyCRM Essentials comes with many charts and dashboards configured for you to gain real time analysis of your daily activity. In this example (left) we see how easy it is to track and see allocation of customer service Activities. You can complete our form and just email mike@mycrmgroup.com or sales@mycrmgroup.com and we will arrange a call time that works for you.